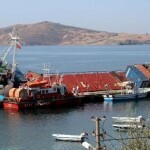 The 59 meter long, 1150 dwt freighter Pasha capsized and sank in the Marmara Sea near Narlı Köyü, Turkey. 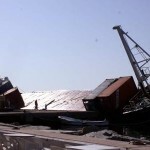 The Pasha was headed to Casablanca from Istanbul with a cargo of plywood and containers when it suffered a heavy list after the cargo shifted in heavy seas. The crew alerted authorities at the Dardanelles Vessel Traffic Center that the Pasha had a heavy list about 50 degrees to starboard. 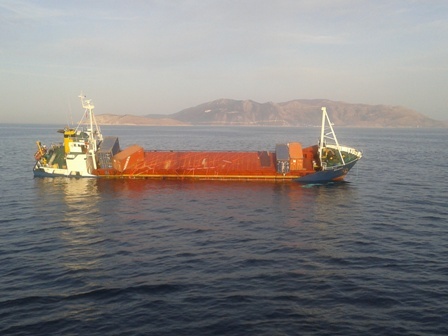 Authorities dispatched a lifeboat and tug to the scene and took the nine crew off the Pasha and towed the vessel to a quay off Narlı Köyü. 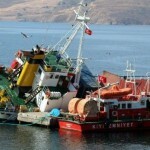 The Pasha capsized and sank a few hours later with the deck containers sliding off the deck. 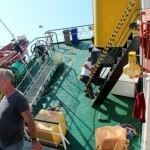 Authorities placed oil booms around the Pasha to contain any pollution released.